Although this is technically a sports betting site I’m always trying to add something new. I do this because I feel it would make things more interesting and appeal to a wider audience. Needless to say the most popular posts has nothing to do with online sports betting and everything to do with Hot Sports Babes. Other popular categories include Sports Betting Reviews, Betting Jargon and sports betting Special Offers! I’ve decided to create a new category called Interesting Sports Stuff. 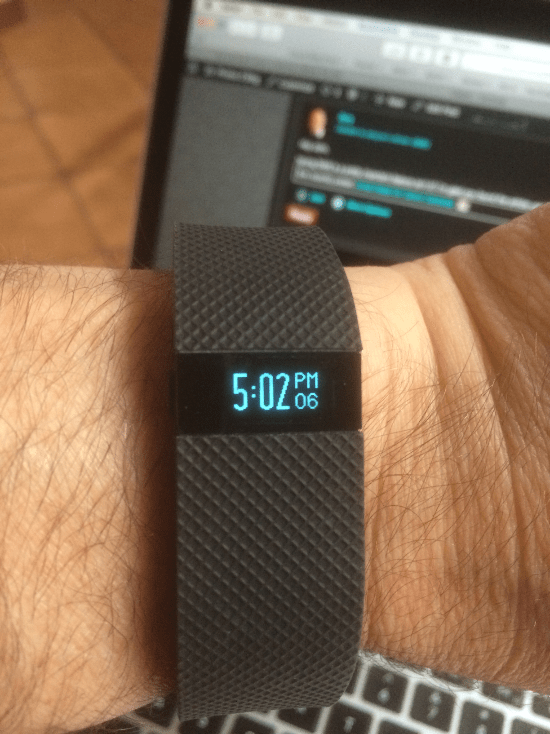 This is going to be its first post and it’s all about my birthday present, a Fitbit Charge HR! The Fitbit Charge HR is a slim wristband that automatically tracks your heart rate and activity tracking right on your wrist. It does this 24/7! You can check your heart rate during workouts to get more accurate calorie burn, reach your target workout intensity and to maximise training time. The Fitbit Charge HR will track steps, distance travelled, floors climbed and even the quality of your sleep. The Fitbit Charge HR also keeps perfect time and if you pair it with your smartphone it also displays the Caller ID of any incoming calls! By wirelessly syncing you Fitbit Charge HR to your smartphone and computer it allows you to monitor your trends and get the motivation you need to push yourself further. Every day you will be motivated to increase your steps and every facet of bettering your fitness level. You’ve probably noticed that one thing most sports folks have in common is that they all have a killer body. This is aside from being super fit. You don’t get a super looking fit body by sitting on the couch either. Ever since getting my Fitbit Charge HR I’ve noticed I’ve been pushing myself to improve my fitness level. Now I don’t just go to the gym and work out I also go for a walk/jog/run! Because the Fitbit pairs seamlessly with my iPhone, the app adds to all the stuff the Fitbit tracker can do. I mentioned above that since getting the Fitbit Charge HR I’ve started to hit the pavement. Well the app keeps track of how far I’ve gone, how much time it’s taken me as well as my pace. Since getting the Fitbit I’ve taken it out twice and each time I’ve improved my performance. I can actually track my progress as I’m running just by glancing at my iPhone. It actually does help to push you to improve your fitness level. You can also compare your Fitbit states with Facebook friends who also have a Fitbit. If you’re as competitive as I am you can see how this will be a positive way for improving all your fitness goals. Click on the Amazon link to get more product details and to read customer reviews. UPDATE: Just got me a brand new Fitbit Charge 2! Read my Fitbit Charge 2 Review. Next PostThe Best Fitness Motivator? As you know, I have the Fitbit Flex and I have nothing but good things to say about it. You got a fancier version than mine, as mine only tracks steps and what’s associated specifically with that, and sleep. Yet that’s all I wanted it to do, and it’s way more accurate than a pedometer. I sort of did mention that you can compare your Fitbit states with FaceBook friends but I reckon I could of gone into more detail. Thanks for pointing that out Mitch. I’m looking forward to beating your Fitbit stats!